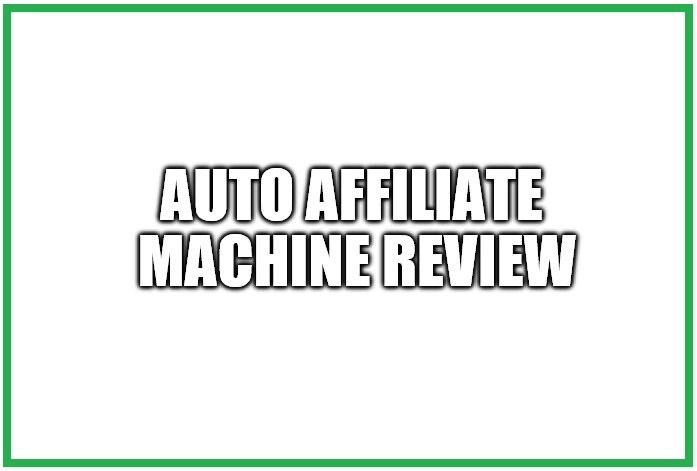 →Auto Affiliate Machine Updated Review: Is Auto Affiliate Machine A Scam? Auto Affiliate Machine Updated Review: Is Auto Affiliate Machine A Scam? Auto Affiliate Machine is a software that claims to get instant viral traffic and commissions on autopilot. The sales page claims that you don’t need to work hard or create any content to earn money. This software is cloud based, so you will not have to install anything. It is 100% newbie friendly according to them. Honestly, there are several other claims on the sales page and most of them are hard to believe. David Kirby, Billy Darr and Justin Opay are behind this product. They are affiliate marketers, and I have reviewed products from them before. I can see the hyped-up claims on the sales page, but will this software actually deliver? In this Auto Affiliate Machine review, I will share the truth about it and help you in deciding if you should buy it or not. How Does Auto Affiliate Machine Work? According to the sales page, you can start earning money from this software in just 3 easy steps. Following are the steps that you need to follow to earn money from this software. 1. The first step is to buy this software. 2. The second step is to apply their Auto Affiliate Machine methods. 3. In this step, you will just wait for the money to roll in while you relax. The sales video makes it look very easy, but it is not going to be easy. The good news is that you can earn money from this software if you do it right. First, let us take a look at what you get in this product. You will obviously get the software. You will also get step-by-step video tutorials and access to support desk. Finally, you will get access to the agency version of this product. The agency version of this product allows you to use this software for unlimited clients and earn money from them. However, I don’t think that you will earn much even if you are able to find some clients that are interested in this software. Now the problem is that this is just a PDF creator that allows you to share the PDFs that you create on social media. The creators of this product believe that PDFs can convert well and allow you to earn a lot of money. Basically, this is a PDF creator that allows you to create PDF reviews of products easily by entering a few details. The PDF review will be simple, and I don’t think that you will impress a lot of people with it. You can also connect your social accounts with this software allowing you to share your PDFs automatically. The PDF review will have your affiliate links, so you will earn money when someone decides to buy something. The way of getting traffic is social media, and this is the big weakness of this product. You must have limited social media connections, so your reach will be limited. I don’t really like the idea of using PDFs to earn money either. People usually don’t download a PDF from social media and end up buying a product. The reviews that you will create will not convert well because they will be short and many people will not even read them properly. I am not a fan of the way the sales video presents this software. You will believe that you are getting something amazing, and the sales video conveniently skips that this is a PDF creator. The training is really short, and it will mostly cover how this software works. I don’t think that you need the help of the training to figure out how this software works. You need the training to earn money from this, but it doesn’t seem to be concerned about that. Honestly, this method seems outdated instead of something that will work well. The training is not focused on something that will actually help you in earning money. Social media is not a good source of traffic unless you are experienced and have a huge following. Overall, this is an average product. Based on my last research, the price of Auto Affiliate Machine is $17. The front-end is priced low so that they can get you into their funnel. You will be hit with upsells after the initial purchase. There are four upsells, and you will end up spending around $140 on all of the upsells. I don’t think that the upsells will be amazing because the front-end is disappointing. If you are a newbie, then you will have a really low chance of success because of missing training and an inefficient method of promoting products. Social media is not so easy to earn money from. You have to build connections with those people who are interested in the products that you are promoting. As a newbie, you will have no idea how to gain followers and build connections. You will be able to create PDFs, but without traffic you will not earn any money. I wish that they had focused on multiple traffic sources and covered them in detail. Your affiliate links may not work because this has happened in some cases. So, you need to make sure that your affiliate links are working. I don’t really see how a newbie will earn hundreds of dollars per day from this software. Even earning $5 per day will be a challenge for most newbies. Their unique method of promoting products is also going to affect your earnings negatively. I don’t think that PDF reviews will convert well because they won’t be long and persuasive. They have content in those reviews that will be far from impressive. This product is placing several limitations on your earning capabilities because of its focus on PDFs. There was a time when people cared about PDFs, but now PDFs have lost that status. Unfortunately, I don’t think that most newbies will earn a satisfactory amount of money from this product. No, I could not find any complaints. I have a few concerns that I have listed below. PDFs aren’t a great method of promoting products. 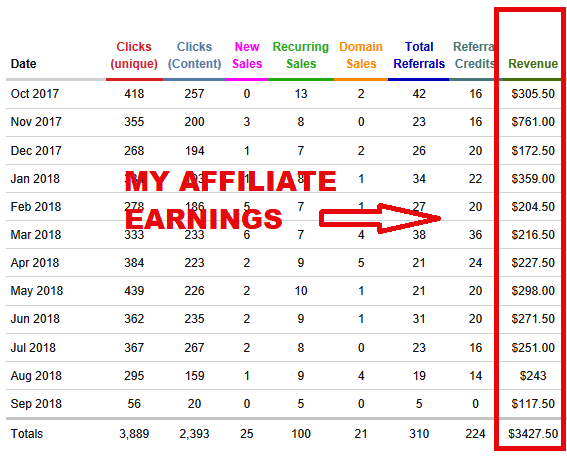 In my opinion, Auto Affiliate Machine is not a scam because you get something for the price that you pay. I don’t think that this software is a very bad deal at the $17 price tag, but I wouldn’t recommend it. I don’t think that most people will be satisfied with this product if they end up buying it. The fact remains that push-button softwares don’t work well in the real world. Good luck and choose wisely. How Do I Personally Earn Money Online? I know that you want to invest in Auto Affiliate Machine because you want to make a big change to your life. I also feel that you only want to have a new source of income that can help you achieve financial freedom. But let me tell you that online business is not that easy. It requires great patience and perseverance in order to succeed. Buying a program and following it is not enough to attain your goals. You have to have a support in order to guide you throughout your journey. If you are still looking for a new source of income that can help you, then you can also look into my personal choice. Affiliate marketing can be a goo source of additional income most especially if you have limited money to invest. My best passive income source suggestion would be making your own online business with a support from community. Right now, I am on my third year in this community and I am already enjoying the fruits of my labor. So, I want to share the things that I did so you can also follow and benefit from it. Check Out My Review on the #1 Recommended Work at Home Opportunity. If you have more questions and concerns about the Auto Affiliate Machine, feel free to comment it below and I would be glad to interact with you. Please let me hear your experiences and personal concerns on the comments below and I would try my best to help you! Hey there! 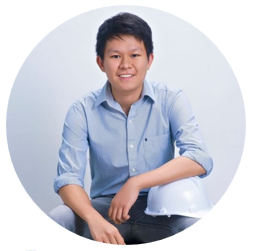 I am an Online Entrepreneur and Civil Engineer in the making at the same time. I am already earning Extra Income and I want to Use this Blog to Share to Everyone what I did.